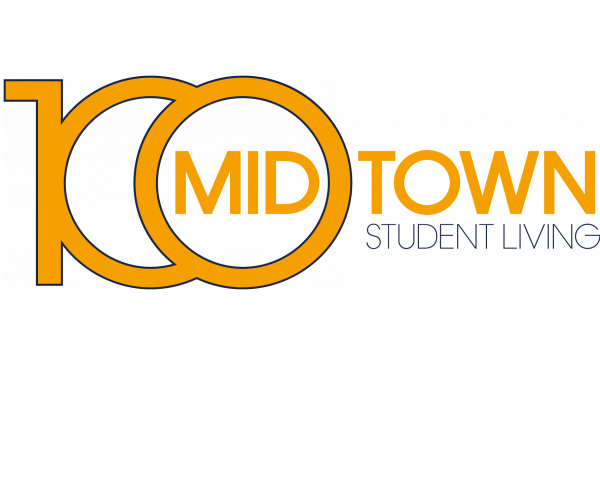 For the best Georgia Tech apartments on campus, look no further than 100 Midtown. Located between Hank McCamish Stadium and Tech Square, our community has everything students need to succeed in and out of school. In addition to a library, we have a computer lab with Macs and PCs loaded with engineering software and the Adobe Creative Suite. Our spacious apartments have 2 or 4 bedrooms and come with leather furniture. Cook your own meals and do laundry at home thanks to a full kitchen —complete with dishwasher— and a washer and dryer in unit. Plus, there’s no charge for cable, Internet, water, or electric, as they’re included in your rent. 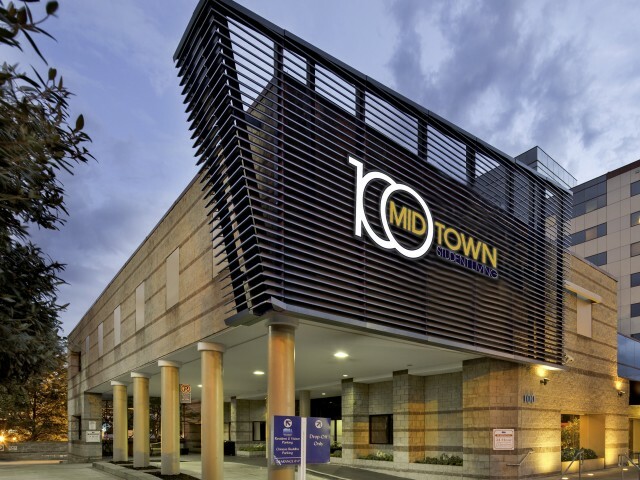 We’re located 1 block from the Midtown MARTA station and just a 2-minute walk from the Georgia Tech trolley stop at Publix Supermarket. And we’re so close to campus that many of our residents walk or ride their bikes to class. Our gym has cardio equipment, a TRX station, machine weights and free weights— and it’s open 24 hours a day. We also have a video gaming room, a TV lounge, and a movie theater with an HD projector, a DVD/Blu-ray player, and real theater seating. To schedule your tour of our outstanding community, contact us today. We’re happy to show you around and answer your questions! Until then, have your parents take a look at what we do to make your transition to apartment living as painless as possible.